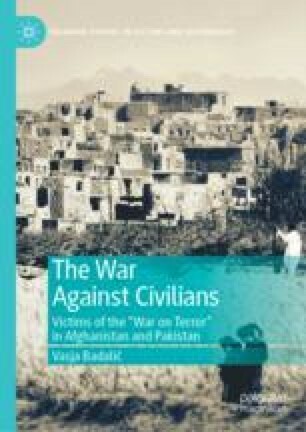 This chapter explores the factors that led to unlawful detentions of civilians during military operations against insurgent groups in Pakistan. The first section of the chapter examines two factors that influenced the selection of targets for detention (e.g., vaguely defined grounds for detention, reliance on faulty intelligence). The second section analyzes how the Pakistani authorities failed to establish procedural standards that would meet the requirements of international human rights law (e.g., detainees were denied the right to challenge the lawfulness of detention, they had no access to information about the reasons of detention, no access to legal assistance). The third section shows how the vaguely defined grounds for detention and the inadequate procedural safeguards led to the arbitrary detention of civilians. Actions (in Aid of Civil Power) Regulations 2011 (AACPR). http://www.isj.org.pk/the-actions-in-aid-of-civil-power-regulation-2011/. Accessed on 7 June 2018. AI (Amnesty International). 2006. Pakistan: Human Rights Ignored in the “War on Terror.” London: AI Publications. https://www.amnesty.org/en/documents/ASA33/036/2006/en/. Accessed on 30 May 2018. ———. 2008. Denying the Undeniable: Enforced Disappearances in Pakistan. AI Publications. https://www.amnesty.org/download/Documents/ASA330182008ENGLISH.pdf. Accessed on 12 June 2018. ———. 2010. “As if Hell Fell on Me”: The Human Rights Crisis in Northwest Pakistan. London: AI Publications. https://www.amnesty.org/en/documents/asa33/004/2010/en/. Accessed on 1 June 2018. ———. 2012. “The Hands of Cruelty”: Abuses by Armed Forces and Taliban in Pakistan’s Tribal Areas. London: AI Publications. https://www.amnesty.org/en/documents/asa33/019/2012/en/. Accessed on 25 May 2018. ———. 2017. Pakistan: Widespread Human Rights Violations Continue: Amnesty International Submission for the UN Universal Periodic Review, 28th Session of the UPR Working Group. London: AI Publications. https://www.ecoi.net/en/file/local/1403989/1226_1500446246_asa3365132017english.pdf. Accessed on 10 June 2018. Bellal, Annyssa. 2017. The War Report: Armed Conflicts in 2016. Geneva: The Geneva Academy of International Humanitarian Law and Human Rights. https://www.geneva-academy.ch/joomlatools-files/docman-files/The%20War%20Report%202016.pdf. Accessed on 1 June 2018. Berenson, Tessa. 2014. “Top 10 Rewards for Terrorists.” The Times, June 17. http://time.com/2890054/terrorist-rewards-for-justice/. Accessed on 28 June 2018. Convention (III) Relative to the Treatment of Prisoners of War. Geneva, 12 August 1949. https://ihl-databases.icrc.org/ihl/WebART/375-590006. Accessed on 28 June 2018. CTITF (Counter-Terrorism Implementation Task Force). 2014. Right to a Fair Trial and Due Process in the Context of Countering Terrorism. New York: CTITF Publication Series. https://www.ohchr.org/EN/newyork/Documents/FairTrial.pdf. Accessed on 3 July 2018. Debuf, Els, eds. 2009. “Expert Meeting on Procedural Safeguards for Security Detention in Non-international Armed Conflict.” International Review of Human Rights Law 91 (876): 859–881. https://doi.org/10.1017/s1816383109990543. Frontier Crimes Regulations 1901 (Amended in 2011) (FCR). http://www.isj.org.pk/the-frontier-crimes-regulations-amended-in-2011/. Accessed on 7 June 2011. ICG (International Crisis Group). 2006. Pakistan’s Tribal Areas: Appeasing the Militants. ICG. https://d2071andvip0wj.cloudfront.net/125-pakistan-s-tribal-areas-appeasing-the-militants.pdf. Accessed on 5 June 2018. ICRC (International Committee of the Red Cross). 2002. “ICRC Position on Hostage-taking.” International Review of the Red Cross 846. https://www.icrc.org/eng/resources/documents/article/other/5c6cln.htm. Accessed on 24 June 2018. Khan, Iftikhar A. 2009. “Army Has Nothing to Do with Mass Graves, Says ISPR’s DG.” Dawn, August 19. https://www.dawn.com/news/485190. Accessed on 31 May 2018. “Pakistan Taliban Sets Tough Terms for Peace.” 2014. Al Jazeera, February 10. https://www.aljazeera.com/news/asia/2014/02/pakistan-taliban-sets-tough-terms-talks-20142108485710749.html. Accessed on 26 June 2018. Protocol Additional to the Geneva Conventions of 12 August 1949, and Relating to the Protection of Victims of Non-international Armed Conflicts (Protocol II), 8 June 1977. https://ihl-databases.icrc.org/ihl/INTRO/475?OpenDocument. Accessed on 28 June 2018. “Punjab Operation to be Jointly Conducted by Civil, Military Agencies: Rana Sanaullah.” 2016. The Express Tribune, March 29. https://tribune.com.pk/story/1074929/punjab-operation-will-include-all-law-enforcement-agencies-rana-sanaullah/. Accessed on 24 June 2018. Siddiqui, Taha, and Declan Walsh. 2015. “In Pakistan, Detainees Are Vanishing in Covert Jails.” The New York Times, July 25. https://www.nytimes.com/2015/07/26/world/asia/detainees-vanish-in-secretive-facilities-as-pakistan-fights-taliban.html. Accessed on 10 June 2018. U.N. Commission on Human Rights. 2005. Promotion and Protection of Human Rights, Report of the Special Rapporteur on the Promotion and Protection of Human Rights and Fundamental Freedoms While Countering Terrorism, Martin Scheinin, E/CN.4/2006/98. https://undocs.org/E/CN.4/2006/98. Accessed on 17 June 2018. ———. 1988. Body of Principles for the Protection of All Persons Under Any Form of Detention or Imprisonment. Adopted by General Assembly Resolution 43/173 of 9 December 1988. http://www.ohchr.org/Documents/ProfessionalInterest/bodyprinciples.pdf. Accessed on 14 May 2018. U.N. Human Rights Committee. 1992. Gordon v. Jamaica, Communication No. 237/1987, UN Doc CCPR/C/46/D/237/1987. http://hrlibrary.umn.edu/undocs/html/dec237.htm. Accessed on 3 July 2018. ———. 2007. General Comment No. 32: Article 14: Right to Equality Before Courts and Tribunals and to Fair Trial, CCPR/C/GC/32 (23 August 2007). http://www.refworld.org/docid/478b2b2f2.html. Accessed on 27 June 2017. ———. 2011. General Comment No. 34: Article 19: Freedoms of Opinion and Expression, CCPR/C/GC/34 (12 September 2011). http://www2.ohchr.org/english/bodies/hrc/docs/gc34.pdf. Accessed on 5 June 2018. Witte, Griff, and Karen DeYoung. 2010. “Pakistan Holding Thousands in Indefinite Detention, Officials Say.” Washington Post, April 22. http://www.washingtonpost.com/wp-dyn/content/article/2010/04/21/AR2010042102658.html. Accessed on 1 June 2018.